The Church is experiencing exciting, historical moments in the Europe East Area. 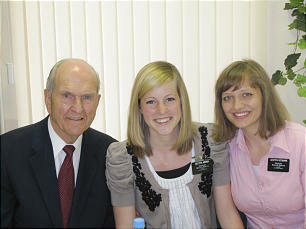 Last summer, President Thomas S. Monson dedicated the area's first temple with the opening of the Kyiv Ukraine Temple. And three weeks ago, Elder Russell M. Nelson of the Quorum of the Twelve organized the Russia Moscow Stake, the nation's first. But even as the tens of thousands of members in the Europe East Area celebrate recent milestones, there is much to be learned from the region's LDS history. During his recent visit to the area, Elder Nelson took a few moments to pay tribute to the Church's pioneer past in eastern Europe. Such pioneers — including many who are still alive and laboring faithfully in the congregations and communities — played pivotal roles in helping the Church take its maiden steps in this area of the world.